Donna and the Dynamos (including, from left to right, Rosie played by Sam Price ‘20, Donna played by Nicole Plummer ’19 and Tanya played by Taylor O’Connell ‘19) perform “Super Trooper” during the bachelorette party scene. Price, Plummer, and O’Connell were joined by many ensemble members, dancing along to the song during the March 23 performance. “There is just nothing better than getting up on stage with all your best friends and bringing something to audiences that you know that they are loving,” said Plummer. On March 22, 23, 29 and 30, Hollis Brookline High School’s highly anticipated rendition of “Mamma Mia” was finally performed. With a large audience turn-out and record amounts of student involvement, the musical was a success. In terms of ticket sales, “Mamma Mia” was one of the most successful musicals HBHS has performed. Between online pre-sale and sales at the door, every night either sold out or came close to it. However, not everything went as initially planned. There was a “major tech hiccup” the first weekend according to Nicole Plummer ‘19, who played Donna, and the show was temporarily without sound equipment and someone to mix the sound. The crisis was averted when members of the HB community brought together the tech needed to get all of the microphones working. Additionally, Dylan Silcox, a past HB graduate who was helping with the lights for “Mamma Mia”, was able to step up to the challenge of mixing sound live for the first time. “On Friday afternoon we honestly thought that we weren’t going to be having a show,” said Plummer. “I’m sure it wasn’t perfect and sure, [the sound] has sounded better in the past, but we got through the show,” said Plummer. Thanks to the community support shown to the theater department, the show went on. 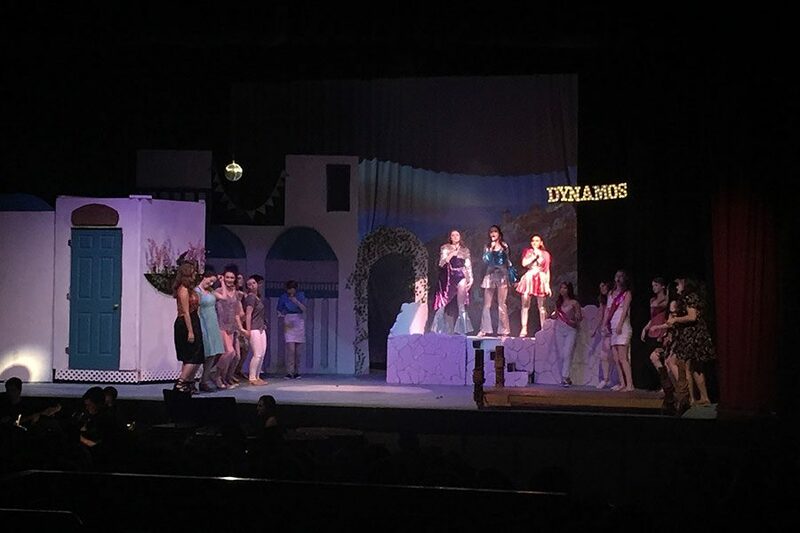 Even with the added stress of sound complications, everyone involved with “Mamma Mia” was able to stay focused and performed well. “I’m really impressed with their ability to rally and come together and be professional and not complain or not worry. They just they really pulled some amazing feats,” said, director and HBHS English teacher, Claire Pare. The “Mamma Mia” actors were particularly satisfied with their performances. “We thought we had put our best energy forward,” said Plummer. Audience members of the musical were also thoroughly happy with the production. 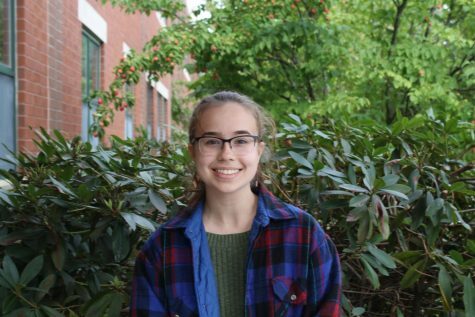 “I’ve been going to the musical every year and this year was by far my favorite,” said Natalie Cook ‘19.